In this blog posting, Tad McIlwraith, Assistant Professor of Anthropology at the University of Guelph, offers his insights into using John Barker’s ethnography, Ancestral Lines: The Maisin of Papua New Guinea and the Fate of the Rainforest, in his introductory cultural anthropology course. 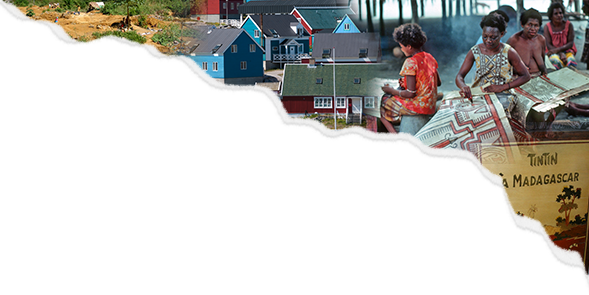 Ancestral Lines was one of the first ethnographies published by the University of Toronto Press that was designed specifically for undergraduate classroom use and its author, John Barker, is now the academic editor of UTP’s Teaching Culture Series. 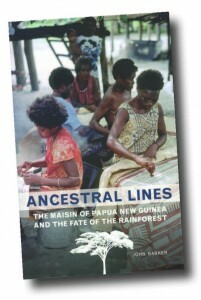 I have taught Ancestral Lines: The Maisin of Papua New Guinea and the Fate of the Rainforest by John Barker every semester since it came out in 2008. Without hesitation, it is my favourite teaching ethnography. Allow me to share with you how I teach with it. Ancestral Lines is two stories. First, it is a general ethnography of the Maisin people of Papua New Guinea. Through description of Maisin lives, Barker discusses horticultural economics, kinship and descent, Maisin spirituality including Christianity and sorcery, and the nature of community. The final chapter details contemporary Maisin involvement in global economics and politics, particularly as the worldwide demand for tropical lumber forces the Maisin to respond to a threat to their rainforest. Second, Ancestral Lines is Barker’s personal story. 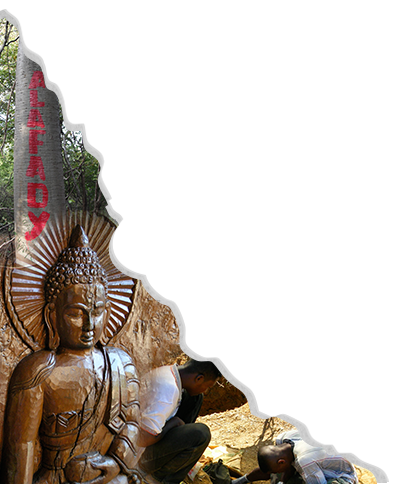 It is an account of his experiences as a fledgling anthropologist learning his craft. The common trope of the child-like anthropologist is enhanced by the constant reference to tapa, a cloth made from the pounded bark of a tree. Each chapter begins with a vignette in which Barker describes his efforts to make tapa. He learns and in turn teaches us about gender etiquette, horticultural production, and global economics. Tapa is the symbol that unites both of the book’s stories: it is symbolic of all aspects of Maisin culture and it is the means by which Barker shows us how he learns about the Maisin people and grows as an anthropologist. I use Ancestral Lines in a course titled “Introduction to Anthropology.” In a conventional, first-year cultural anthropology course, Ancestral Lines pairs perfectly with the progression of lectures. In each lecture, I quote orally from the text to illustrate a specific example of a larger framework in cultural anthropology. The section on horticulture illustrates clearly one example of the types of economic systems seen cross-culturally. The illustration of Maisin animism and Christianity in the religion chapter leads to the useful observation that Maisin participation in two religious traditions is not only a consequence of historical circumstances but that it also makes good sense. This is frequently noted as odd by students who are raised to be faithful to one belief system only.As the semester progresses, usually in about Week 10 of 13, I talk with the students about Ancestral Lines as a whole. I provide students with a worksheet. First, I ask students to consider general, factual details. I ask about the main characters in the book and most students realize quickly that they do not get to know many Maisin personally or intimately. But, they get to know Barker pretty well! For most first-year students, it is unexpected and different to get to know the author of their textbook. They enjoy learning about the author but some express concern that the personal nature of the text makes it seem unauthoritative. A discussion of writing styles, reflexivity, and authorial bias follows nicely. Second, I pose discussion-oriented questions which aim at both the elements of the book and the writing and teaching of anthropology. Students like to debate the central place of tapa in the book. Some like the unifying nature of tapa, pervasive in all chapters. Others grow tired of it, feeling that it is a stretch to equate every aspect of Maisin lives with a single product, with a single metaphor. We consider if there is a symbol that represents us, as residents of Canada or, perhaps, as residents of our local community. Suggestions flow: money, hockey, social media, winter. Inevitably, we conclude that the Maisin society operates at a different scale than ours and, as a result, a single, unifying symbol in our multicultural experience might not be possible. Towards the end of the discussion I ask Barker’s question: what do the Maisin have to teach us? Convincing answers include the observation that the Maisin offer us a different model for improving our relationships despite growing social fragmentation in our lives. Some argue passionately that the Maisin don’t have anything to teach us at all. I ask the students to review a chapter of Ancestral Lines as part of their written coursework. The assignments are 600 words and three paragraphs. In the first paragraph, student authors must summarize the chosen chapter. Writers must be concise! In paragraph two, students link and compare Barker’s chapter and the field of anthropology more generally. For this, they draw on lecture materials and the course’s general textbook. Where paragraph one might detail Barker’s description of horticulture, paragraph two should then set horticulture into a wider context of economic anthropology. The trickiest paragraph is number three. Here, students are challenged to ask a question raised by the chapter. It must be a question that Barker does not ask nor answer explicitly. Then, the student must provide an answer to the question asked. I stress that the answer does not have to be correct; it simply must be plausible. Over the years, similar questions come up. Why don’t the Maisin give up on reciprocity and start using money all the time? How can the Maisin be Christians and animists who believe in sorcery at the same time? Wouldn’t the Maisin be better off economically if they sold their rainforest off and embraced entirely global capitalism? Isn’t a book with the author so obviously present too subjective and essentially a novel? I love these questions. They give me teachable moments—and sometimes the chance to discuss ethnocentrism—and they help me focus my presentations about the book. 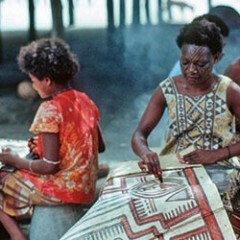 There are lots of films from Papua New Guinea which I use to complement the book. While films from Papua New Guinea are frequently about peoples who are much different than the Maisin, topically they are useful. Cannibal Tours introduces students to the pitfalls of observing others, Ongka’s Big Moka illustrates reciprocity and redistribution nicely, and Man Without Pigs shows social stratification, Big Man politics, and people wearing tapa. As a class, we review the concepts highlighted in the films and discuss the similarities and differences between the Maisin and the people depicted. Despite not being a Melanesianist, I enjoy teaching with Ancestral Lines. It fits with my course. It offers useful examples of everything from Maisin practices to the work and writing of an anthropologist. And, perhaps most significantly, it provides me with an extended example of one anthropological project that we can rely on and follow throughout an entire semester. Tad McIlwraith is Assistant Professor of Anthropology at the University of Guelph. His ethnography of Indigenous Tahltan hunters, ‘We Are Still Didene': Stories of Hunting and History from Northern British Columbia, was published in 2012. You can reach him @tadmcilwraith.